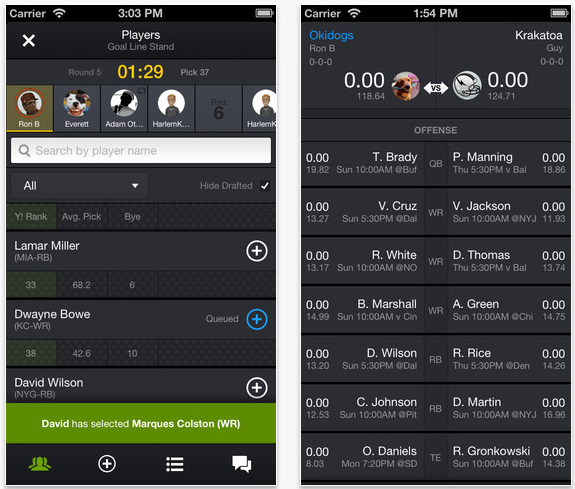 Yahoo has launched its newest Fantasy Sports app for iOS and Android that comes with a new redesign and mobile drafting. This is the first app that integrates technology from the company’s recent acquisitions, Bignoggins Productions and Loki Studios. In a blog post, Yahoo’s Product Director of Mobile Fantasy Sports Ron Belmarch writes that users can sign up, draft a team, and win the league championship from wherever they are. The app also includes notifications to help keep fans up-to-date on what’s happening with their favorite team. The company says it recognizes that Draft Day is one of the most important dates for fantasy football players. The updated app includes mock drafting capabilities to prepare users for the actual thing – and it’s not just for football as this feature will be implemented soon for basketball, hockey, and baseball. When the time comes, users (or managers, as they’re called) will be able to handle the competition and get the players they want from any device they have. Mobile drafting lets them pick players, set their queue, check the results, and even chat with other managers to perhaps plan a strategy or execute a trade. This mobile app is the first since Yahoo acquired Bignoggins Production and Loki Studios earlier this year. Players should be able to see the integrations when they use the Fantasy Sports app. 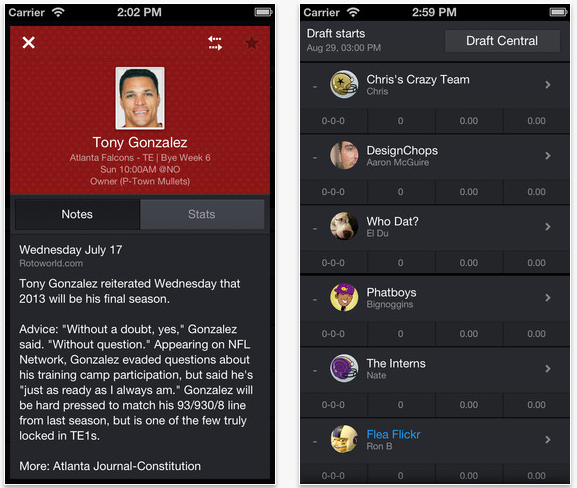 With Bignoggins Production, the technology behind its popular Fantasy Monster and Draft Monster apps has been used in the Fantasy Sports app. Yahoo acquired Loki Studios for its location-based mobile gaming offering.